Join Phil for a talk about hawk watching in New Hampshire, raptor identification and species natural histories. He will discuss what we have learned from observing the fall migration spectacle at Pack Monadnock Mountain each Fall for the past 13 years, as well as share anecdotes from the observatory, ID techniques, and tips on timing for enjoying this annual event. Phil Brown is a lifelong bird enthusiast and trained naturalist who has traveled extensively in search of birds and natural places, but equally enjoys exploring close to home. He is a frequent field trip leader and instructor for NH Audubon, where he manages wildlife sanctuaries across the state. Phil has led many birding and nature tours from New England to the tropics for groups including Merlin Wildlife Tours, NH Audubon, Holbrook Travel, Road Scholar, and the Hawk Migration Association of North America. He has consulted on bird-related research projects for The Nature Conservancy and several local land trusts. Phil now coordinates the Pack Monadnock Raptor Observatory for the Harris Center. In addition, Phil volunteers his time through coordinating two Christmas Bird Counts for National Audubon, runs an annual Breeding Bird Survey route for the USGS, and sits on various state and regional bird and wildlife committees. He is a winner of several birding competitions including NJ Audubon’s World Series of Birding, Mass Audubon’s Superbowl of Birding, and NH Audubon’s Birdathon. 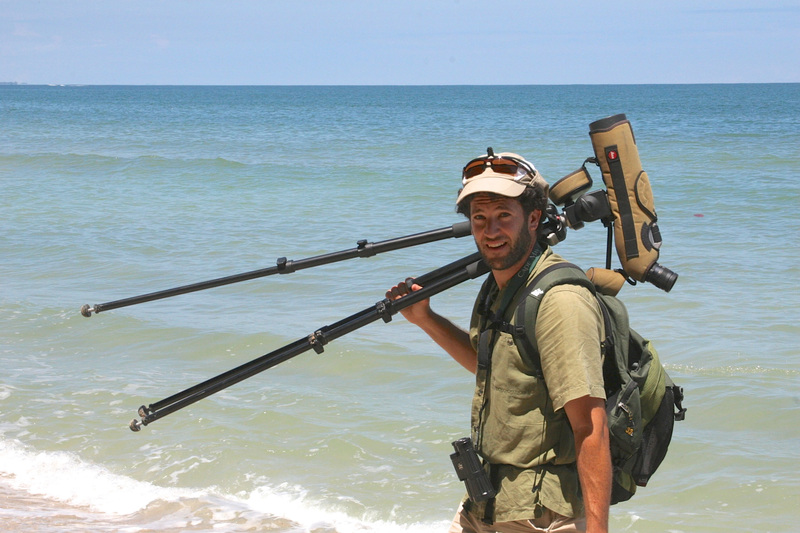 Phil is a graduate of Rutgers University in Natural Resource Management and has completed Master’s work in Conservation Biology at Antioch University New England. He resides in Hancock, NH with his wife and their two young children, where they tend a peach orchard and steward 22 beautiful acres.